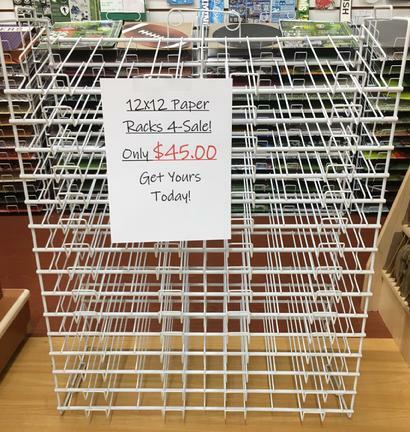 Once Upon A Page is selling 12x12 Paper Racks for only $45! Limited stock available. Either claim yours by coming into the shop or call us (818)846-8910 to reserve yours today! Any questions please feel free to contact us (818)846-8910 or email us! 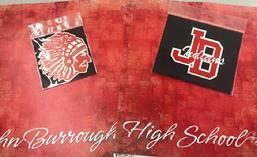 They are selling fast so get yours today! Pick Up Only! 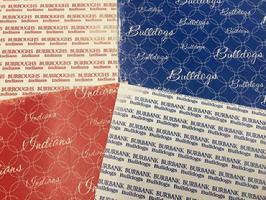 Check out some of our newest creations! 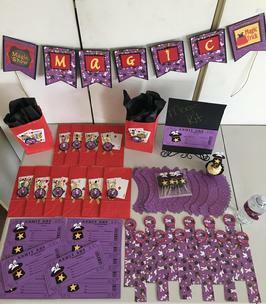 Once Upon A Page is excited to announce that we are going to be offering our own Exclusive Handcrafted Party Kits! Everything is READY-MADE so all the hard work is already done for you! Every kit will be thematic and by purchasing the party pack rather than individual items you are saving big! 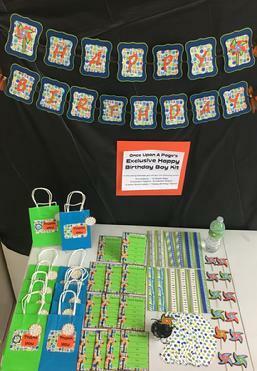 Have a certain theme we will always be happy to make you a custom made party kit for your next event! all of your creative paper needs. 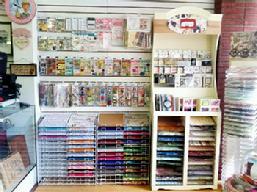 papercrafting and card-making materials for any project. 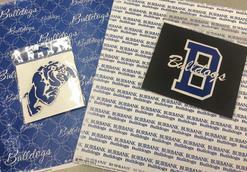 We specialize in one-of-a-kind invitations and announcements as well as unique gift items. Have an unusual project? Come see us and we'll get it done for you! display board or happier school projects. Let us help you and eliminate the stress! Come crop with us Friday May 3rd from 5pm to 12m for only $10! Don't put off all your unfinished projects and come scrapbook with all your fellow croppers! You are welcome to work on any project whether its painting, scrapbooking, crocheting, etc! Spaces are limited. Reservations required call today (818) 846-8910. Start 2019 getting organized and its the perfect time to start on all your unfinished projects,and work on all those photos sitting at home waiting for you to put into an album. 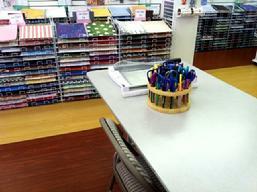 Our shop is the perfect way to get inspired and we have plenty of room for you to spread out and create. Anytime we are open come in and crop for only $5.00 and stay all day! Call now to check availability. classes to fit with your schedule, during business hours. Call for details or reservations. Yes, yes, yes ... we'd love to create a a treasure trove of keepsakes just for you. Bring in your photos, we'll do our magic and it's all done! No muss, no fuss. Couldn't be easier. birdcage? One Pink Ribbon? The cartridge you want is retired? We're here to help! Now all of your projects can look like those on Etsy and Pinterest. Cricut selections you need so let us help - for just $5! Be proud to show your projects on Etsy and Pinterest too.